Japanese professional basketball team Alvark Tokyo was having a great season. The team had won their last five games, and had great statistics going into the next round. However, there was one number where Alvark Tokyo was lacking: female fan engagement. In recent years, most professional sports leagues have reported female fans as one of their largest growing demographics. 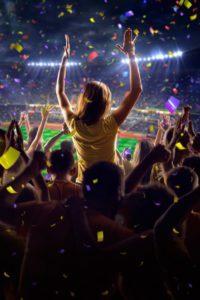 But despite female fans’ growing interest in watching live and televised sporting events, most female fans report feeling misunderstood by sports brands and left out in fan engagement strategies. Female sports spectators are drawn to the social aspect and fan experience surrounding the game.